Toast - Red Bank, Red Bank : Buy Your Toast Gift Card Online! Toast - Red Bank - Buy Your Toast Gift Card Online! 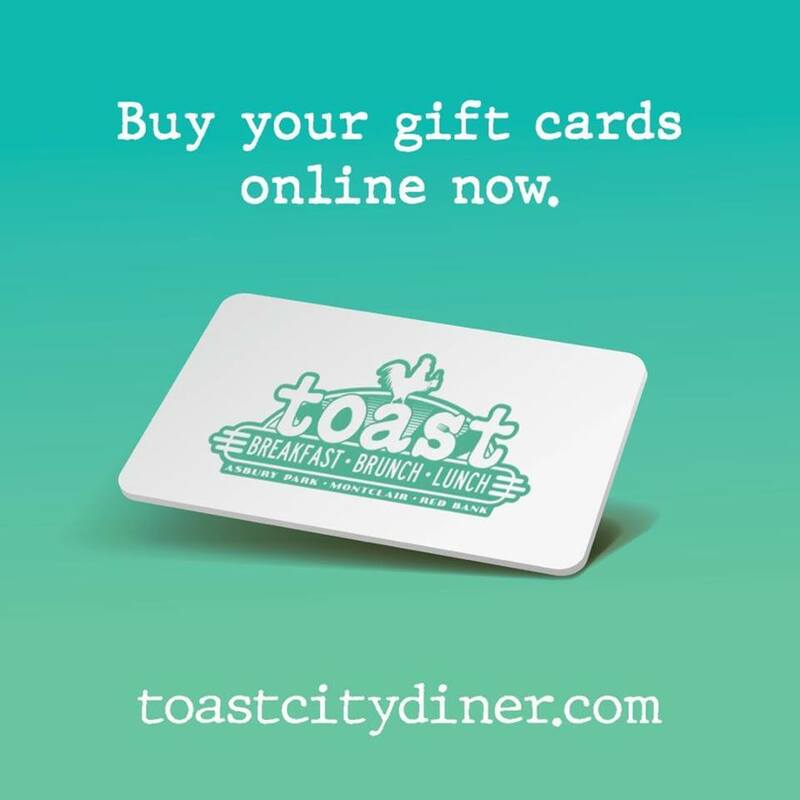 Buy Your Toast Gift Card Online! Give the ultimate gift of breakfast at Toast. Send your loved one a Toast gift card and it will be delivered directly to them... Or get one for yourself! Available in any amount from $5 to $200. 10% Off Your Next Visit to Toast! At Toast, we have a pretty simple mantra: Peace, Love, Pancakes. And to us it's not just a cute catchphrase that looks good on a T-shirt. It's a philosophy that says that when we combine great food with a great staff and a great attitude, we can become more than just another restaurant - we can become part of a community. That's what Toast has done in our other locations, and now we get to do it again at Red Bank.